Well depression slides, single depression in a slide. 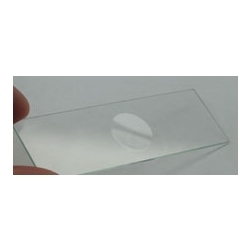 Used for viewing liquid under the microscope. Box of 12 slides.